Schedule issues are the #1 cause for night wakings in both babies and toddlers. But you can start to sleep better - starting tonight - with the small shifts in your baby's schedule outlined in this comprehensive E-Book. 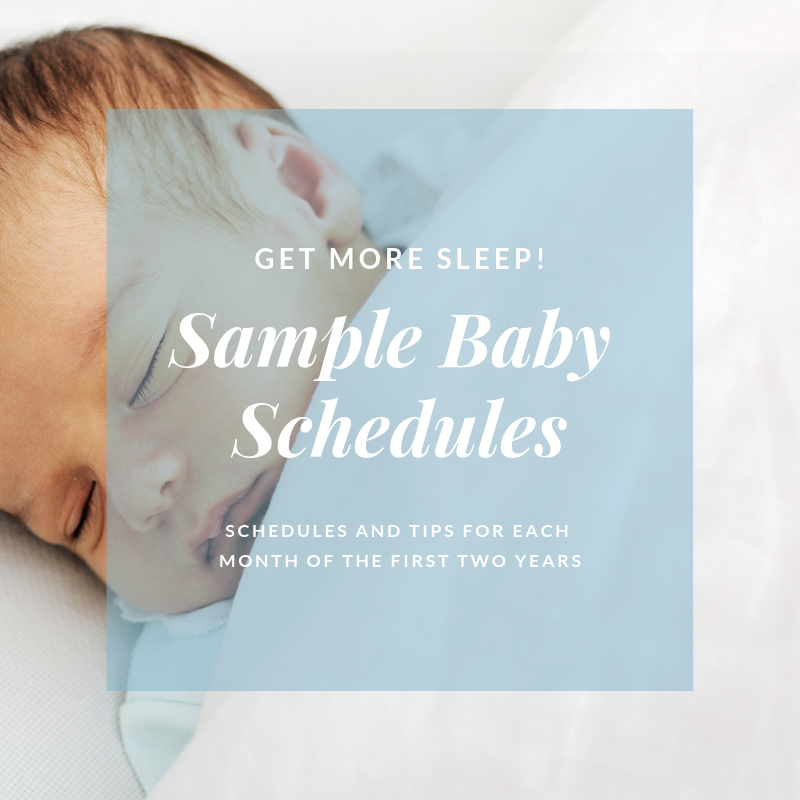 From 0-24, each month has specialized guidelines, sample schedules, recommended nap and night hour totals and quick tips for better sleep. As a mom, sleep becomes more important - and more elusive - than ever. Many parents assume (hope!) that their babies will be good sleepers while, in reality, many babies end up needing a bit of guidance when it comes to developing those healthy sleep habits. So, if you find yourself sleep deprived, overwhelmed or exhausted - you are NOT alone! Thankfully, no matter your parenting style, there are many things you can do to improve both your and your baby's sleep - before even considering whether sleep coaching is right for your family. Establishing a consistent and age appropriate schedule is THE first step toward healthy sleep habits! This comprehensive 13 page "Baby Sleep Schedules" E-Book will walk you all the way through your baby's first two years. From 0-24, each month has specialized guidelines, sample schedules, recommended nap and night hour totals and quick tips for better sleep. Please check your email to download your free copy of the "Baby Sleep Schedules" E-book. I'm so excited for you to dive in and get started! No email? Be sure to check your spam folder and mark "Mommy-SOS" as safe. You can also email jennifer@mommy-sos.com for more assistance.